the Conflict are, however, not the actual return itself, but rather how it happened, writes Sveriges Radio, Kulturnytt. The painting was stolen by the nazis in the 30's and was given back to a jewish konstsamlares surviving in the fall. But according to the audit, should the museum first have asked the government for permission. that the state owned the board, and therefore the actual return as a gift, and therefore, should the government have been consulted. The museum believes that the state never been the rightful owner of the work. 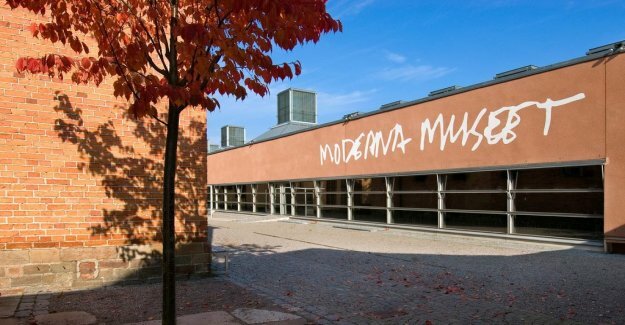 – this work is plundered by the nazis and through that to be regarded as stolen goods, " says the museum's managing director Lars Turesson to the SR. Both sides ' comments are submitted to the government who will respond to the parliament what they have done or plan to do on the basis of the audit office's criticism. from the German-jewish art collector Alfred Flechtheim, and was purchased first by the national museum in 1934, to end up at the Modern museum in Stockholm. the Painting was returned after an extensive investigation, that the museum did, to Flechtheims now the only survivor in september of last year and sold late at an auction for 185 million sek.